All of our licensees have touched me in many ways. I am so proud of them. In fact, bursting at the seams proud. A new licensee called this morning for advice. 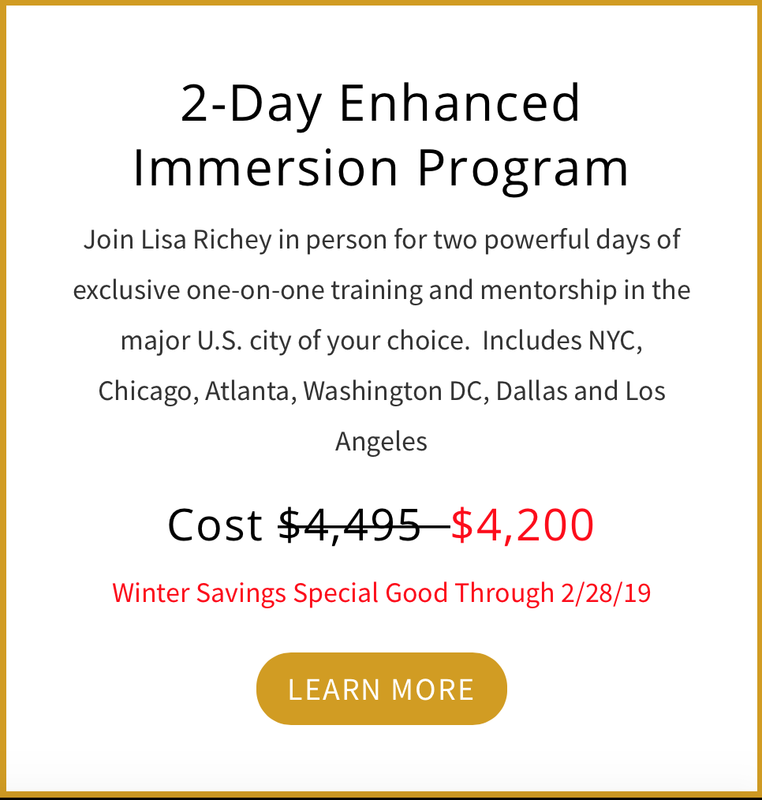 The w licensee and I met two weeks ago in NYC for her 2 Day In-Person Immersion training. We posted on social media several times during the training. We posted together as she observed a manners class in action. The two of us posted as we had afternoon tea together at Tiffanys. We applied all the appropriate hashtags, such as her city. 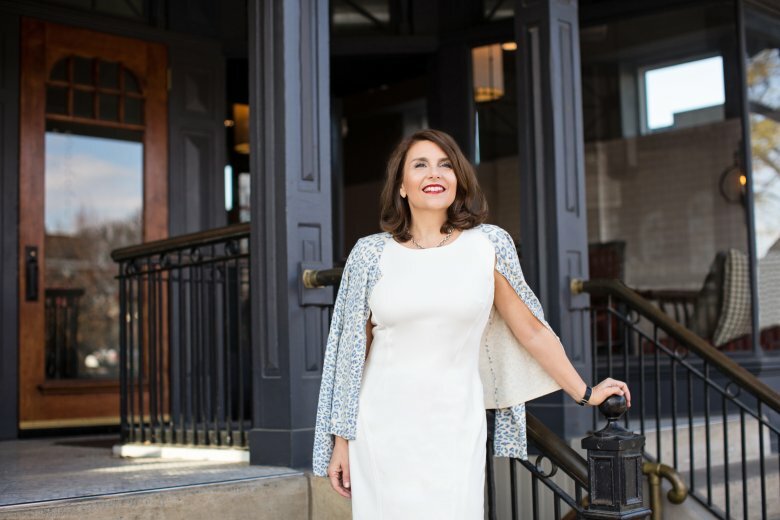 Within a week, a local magazine contacted her for an interview. They are interviewing her about the business she is starting. It also includes a photo shoot. WOW! This is amazing press for someone who is just starting a business. Another licensee, is publishing a book. More to come about her in the spring. Another licensee, had the chance over the summer to work with royalty. Yes, we are proud and celebrating in our office today. All of this glowing and recognizing others achievements is what prompted this article. If You Dream It, You Can Do It | Yes, you can. If you have a passion, whether for teaching manners to children or painting, if you can dream it you can create it for yourself. It takes stamina. You must take action. It is doable and achievable if you put your mind to it. Importance of a Fast Start | My first job was with Speedo. Our manager at the time drilled this message into the entire sales team. We even had notepads with “FAST START” at the top. I have a vivid memory of it. Many of my licensees have a “Fast Start”. Many already have classes lined up before they are trained. During our training, I tell my licensees not to get too focused on the day-to-day operations. Of course, we believe in organization and having your ducks in a row but you must serve your passion. Your passion is to teach….. that is your starting point….to get out and teach! 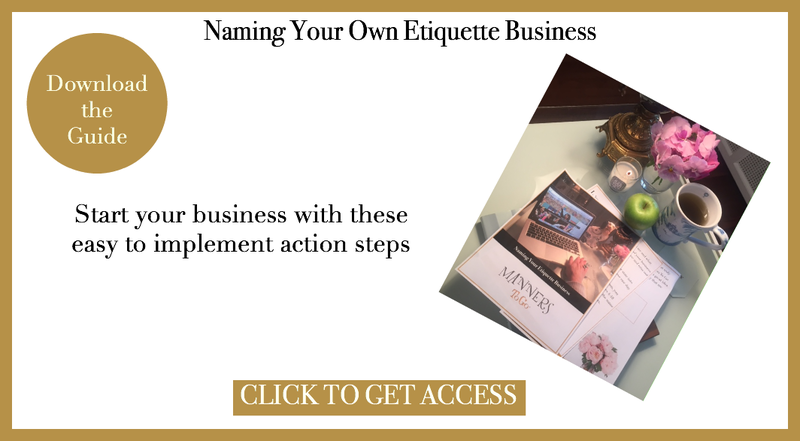 Ask the Right Questions | Last week I wrote an article about 3 Key Questions to Ask When You are Looking for an Etiquette Certification. Have you read it? If not, the link is below. Whatever you are researching, ask why. We expect you to ask us questions. We are happy to speak in-person and in-depth about our process and etiquette certification. Ask really good questions. Have them prepared. 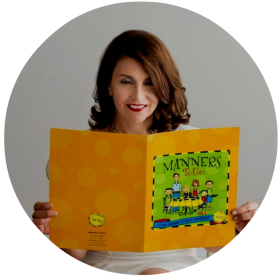 No other etiquette certification program even comes close. We look forward to working with you. We offer an extensive etiquette training program. 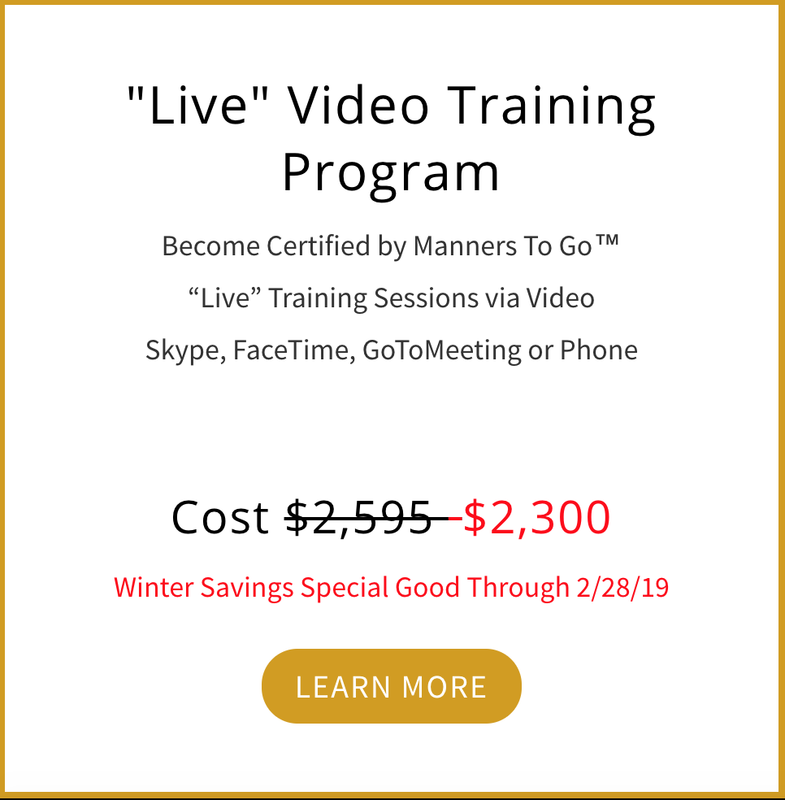 Whether you choose our “live” video training option or our 2-Day Immersion, you are trained in all aspects of starting your business teaching manners to children. Read our testimonials below and you will see why no other certification program even comes close to ours. Have you read our article, 3 Key Questions to Ask When Looking for an Etiquette Certification Program?